My 7/11 post is my current favourite 7 beauty products which I post every 11th of the month. These are my top 7 current beauty loves. 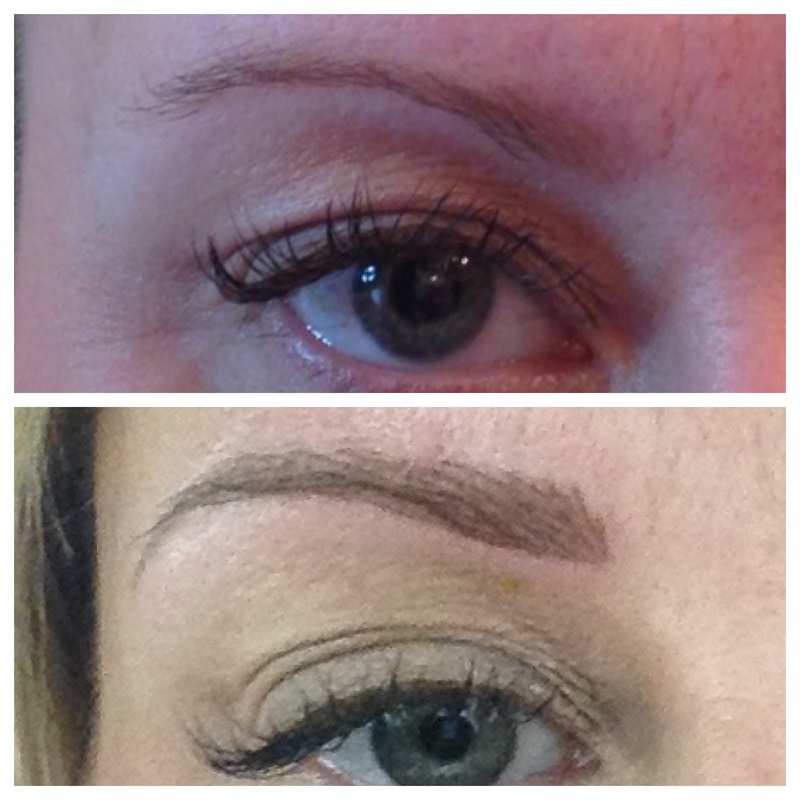 Not an actual 'product' but having my eyebrows 'tattooed' is definitely the very best thing I have done in a long time. I had mine done at Tracie Giles clinic in Knightsbridge by Karina and she was amazing-utterly professional and a huge calming influence on me as I was actually quite nervous! You can read the full story of my treatment here and I would not hesitate to recommend Tracie's clinic and the procedure. I am absolutely delighted with the results! After my eyebrow treatment Karina gave me a vaseline type substance to apply to my brows twice a day for 5 days. It's definitely worth saying that actually I experienced no scabbing, redness, soreness, swelling or itchiness after my treatment but I did apply the vaseline religiously as instructed to help the healing process. When this ran out I decided to keep my eyebrows nourished by massaging in this Shiffa Healing Balm every evening just to counteract any dryness and I think it has really help to achieve this. It's light and non sticky and just feels really moisturising. Shiffa is the brainchild of Dr Lamees Hamdan, a mother of 4 from Dubai. This healing balm is a multi purpose cream containing camomile, indian neem, lavender, meadowfoam and rosemary. It's not cheap, it retails in Dubai for $107 for 30ml. 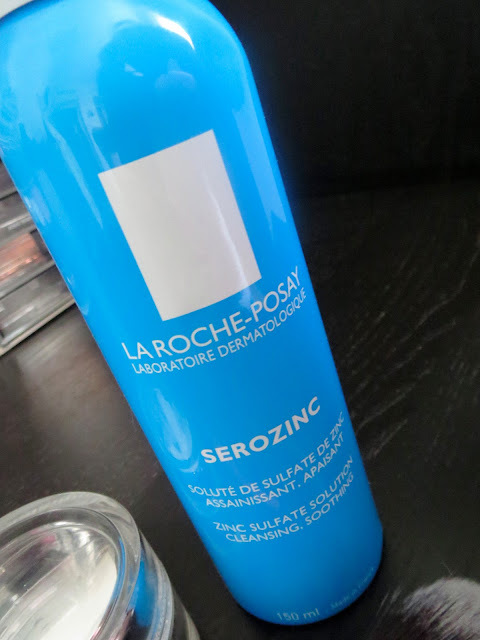 I have only seen this in Dubai airport terminal 3 and Sephora in Dubai Mall and in Selfridges in the UK but the website states its stocked in Harvey Nichols in Dubai as well. 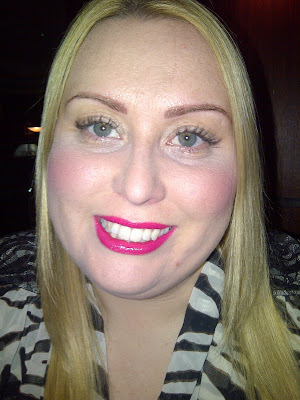 I am a complete addict of Caroline Hirons blog-her no nonsense approach to skincare is hugely informative as well as being an entertaining read. Now that my skin is looking much better following regular use of the Alpha H Liquid Gold I am slowly adjusting my skincare routine in line with Caroline's advice. I saw her talking about this back in March and I ordered a bottle from an online french pharmacy to be delivered to my mums. It's an aerosol so my mum couldn't post it to me in Dubai but she posted it to my best friend Danielle's and I collected it at the beginning of May and started using it immediately as my hydrating toner. The 'Caroline effect' means that this is now like hens teeth to find and is selling for ridiculous amounts on ebay. There is nothing bad I can say about this toner except WHY ISN'T IT AVAILABLE IN THE UK AND DUBAI???? It's so cheap-I paid literally £5 a tin for me. It's a very fine spray you spritz over your face after cleansing (close your mouth-it does not taste nice!). It's a simple concoction of Zinc Sulphate, water and sodium chloride which is soothing, hydrating and antibacterial and it feels lovely and cooling on the skin. It dries quickly and causes zero irritation (if does say you can also use it on razor burn and nappy rash). I am dreading running out especially as I have no idea when I am going to the UK again but rest assured I will be ordering in bulk from the french pharmacy and bringing it back to Dubai! I have owned this brush probably for a year. I only started using it this month-why???? Ok so I will get this off my chest, it annoys me that you can't buy the RT brushes individually...I got this one in the Travel Essentials set which retails for about £19 and includes a foundation brush (which I use for concealer under my eyes) and a domed shadow brush (also use for concealer as well as eyeshadow). But I wish you could buy the brushes on an individual basis!! Aaaaaaanyway, I have a Laura Mericer white setting powder that I was really struggling to use-everytime I put it on my face I got a white cast and it was really frustrating. So I had a look on the Laura Mercier website and the 'recommended' way to use the powder was to load up a brush, tap the brush vertically down onto the back of your hand to push the product down the bristles and then tap the brush on the skin rather than sweeping it across. And this Multi Task brush is brilliant for that. It's also brilliant for using with bronzer and brilliant for applying very pigmented blushers-I load up the brush, tap of the excess and then using a really light hand and swirling motions apply the blush. It's brilliant. It washes up a treat and I haven't seen it shed one hair. I have to say the Real Techniques brushes are amazing quality-Sam Chapman has nailed it with this quality but affordable range. I use at least one of her brushes every single day. 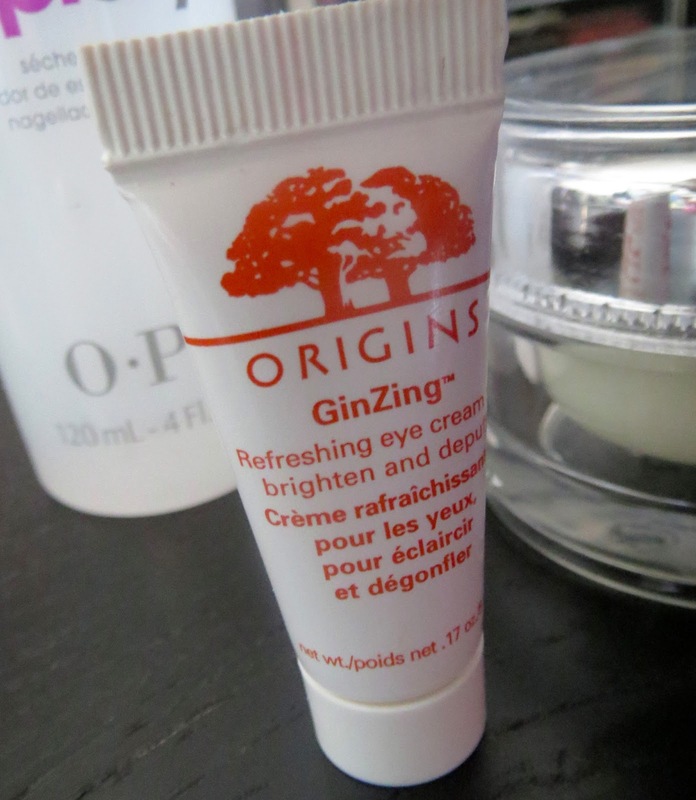 To me this is the perfect eye cream for summer-it's a light cream consistency and has an illuminating effect on the skin-think Mac strobe cream but for under your eyes. It certainly brightens in my opinion. It also claims to de-puff but I don't really suffer from puffiness so can't comment on that claim. It contains caffeine from coffee beans, magnolia extract and ginzing. It makes a good base for concealer as the area is smoothed and hydrated after applying. I've recently bought the moisturiser too and am looking forward to using that over the summer. The full size version retails for £21. I love this palette. I am so so glad I bought it in London because it's not on sale here in Dubai. The lilac/grey toned colours work so well together and I have been wearing it almost daily. You can read my full review and view swatches here. Temperature Rising has been my favourite Mac collection of 2013 so far! Snap it up while you can. I bought this from Look Fantastic where it retails for about £12. The concept is simple, it's a spray you spritz on wet nails to make them dry faster. It works. I love it. 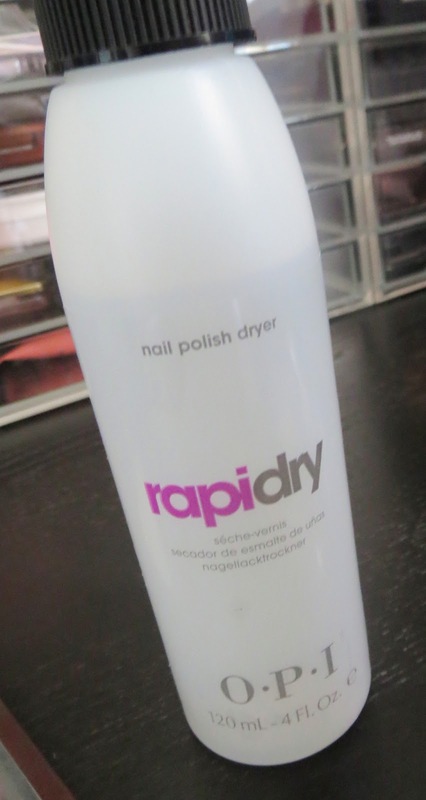 I literally paint my nails then 45 seconds later spritz this on and they are touch dry in no time at all. It doesn't make the polish bubble or pull back from the nail and it is so simple to use. This is undoubtedly one of my favourite finds of 2013.